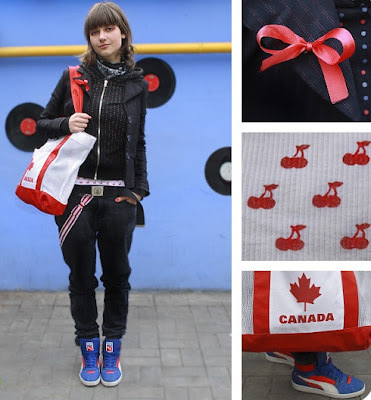 The only maple leaf symbols you are likely to see abroad come in the form of patches lovingly sewn onto the backpacks of hemp clad trekkers (to discourage people from thinking they are American). Consequently, I love Sasha's bag- and the way it matches the cherry print top peeking out from under her hoodie. Posted by la femme at 11:25 a.m. Please, send me the photo of your pc table.